The Motability Scheme has been designed to allow disabled people to lease a new car by using their government-funded mobility allowance. The Scheme was originally created in 1978, since then Motability has helped over 3 million people get mobile with a brand new vehicle. Currently there are over 640,000 people benefiting from Motability across the UK. With the Motability Scheme you can simply exchange all, or part of your mobility allowance, to lease a brand new car, Wheelchair Accessible Vehicle (WAV), scooter or powered wheelchair. You can also have up to two named drivers using the car. These can be either yourself, a friend, family or carer. A third driver can be added at an additional cost. So this means even if you don't drive yourself you can still lease a car, just nominate two drivers who will drive on your behalf. It is recommended that any nominated drivers live within five miles of the disabled customer's address. The proposed drivers must also agree to the terms and conditions for using a Motability car. Only one nominated driver under 21 is permitted, which may be you or another driver who lives at the same address. Also, drivers under the age of 25 may only drive cars in the lower ABI insurance groups of 1 to 16, with the car having a brake horsepower rating of 115BHP or less. Please also consider that proposed drivers with specific convictions, endorsements or disqualifications within the last 5 years will not be allowed to be an appointed driver. Speak to your Underwoods Motability Specialist for more information. how much motorway driving will you do? will any mobility aid you may use fit in the car easily? do you need to fit a scooter or wheelchair in the vehicle? So consider carefully; if you live in town and the car will be used mainly for short journeys, a small city car may suit you, if you have a big family you may want to consider a large family car or MPV and if you changing change gear is difficult consider an automatic gearbox. These changes in the vehicle specification can make a big impact on your comfort or the car’s suitability for you, e.g. seat height, angle of the door as it opens and seat belt positon can all make a very big difference. Of course the very best thing to do is come down to your local Underwoods main dealer showroom in Colchester, Clacton, Sudbury and Tiptree. Please take a look round our showrooms for Vauxhall, Skoda, Mazda or Kia, try out a few different cars by different manufacturers and speak to one of our Motability specialists, they are here to help you! To be part of the Motability Scheme you exchange all or part of your government-funded mobility allowance to lease your chosen vehicle. Underwoods are Motability main dealers for Vauxhall, Skoda, Mazda or Kia. 1. Less than your Allowance. Many cars cost less than your allowance. These are available to you at a fixed weekly cost for the whole of your lease agreement. The remainder of your allowance, which includes annual increases, is paid directly to you by the Department for Work and Pensions (DWP) or Veterans UK depending on which you receive. 2. All of your Allowance. You are able to increase your choice of car further by choosing to exchange all of your weekly mobility allowance. This payment will include any increases in your allowance during your lease. 3. Advance Payment. For the widest choice of car you can choose to add to your weekly allowance by paying a one-off upfront “Advance Payment”. This is an amount that is payable upfront to Underwoods in addition to your weekly mobility allowance. 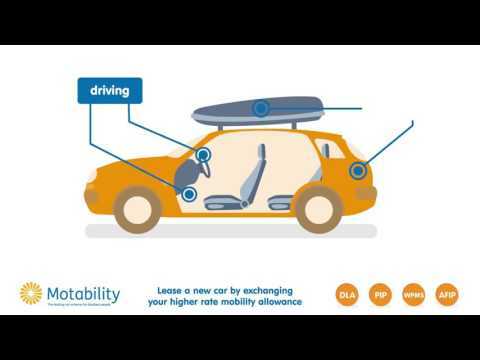 The transference of your allowance to Motability Operations is very simple. This will be done by Underwoods for you. Your allowance is paid directly to Motability by the DWP or Veterans UK and you cannot alter the amount of the weekly payments.